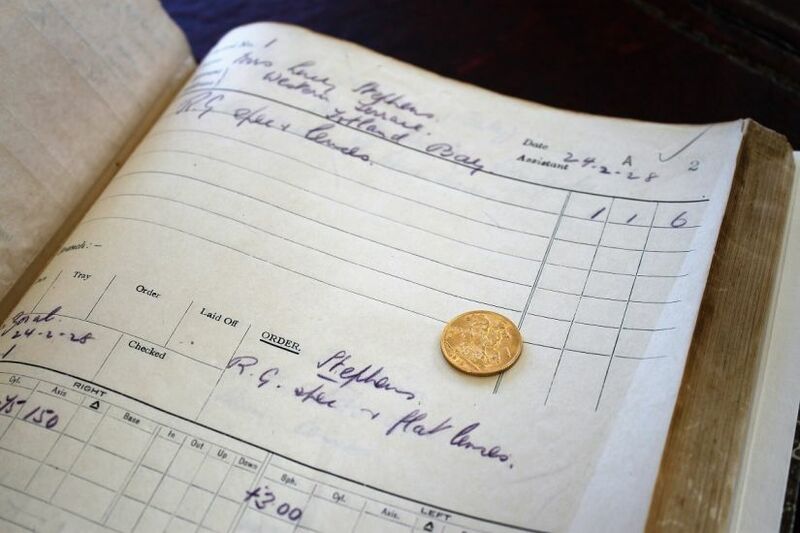 90 Years of Leightons: How did it all begin? 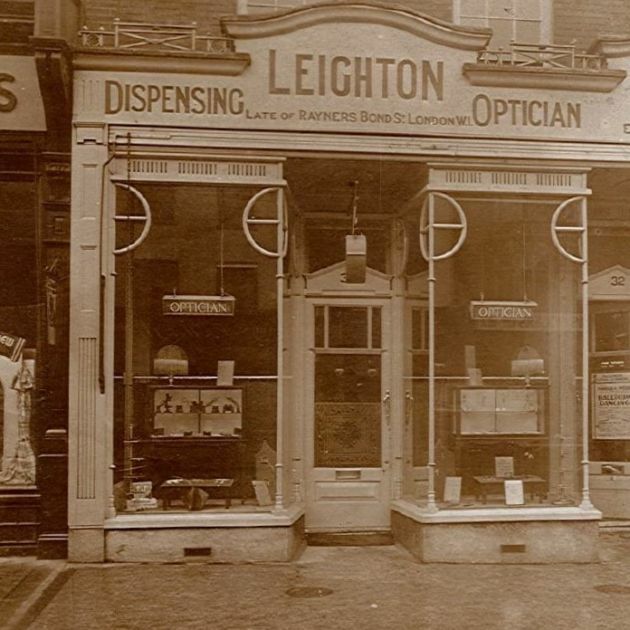 We’ve retraced our founder Oscar Leighton’s steps as he opens the first branch of Leightons, and lays the foundations of our 90 years of business. In 1918, young Oscar took a position as a learner at Rayners Opticians and spent 18 months grinding and edging lenses by hand and “nearly wearing the tops off my fingers”, as he later recalled. For this painstakingly precise work he received the princely sum of seven shillings and sixpence per week. Oscar’s early training made a huge impression on him. Such care went into every step, with each frame and lens ruthlessly checked and rejected if any errors were discovered. He began to appreciate the importance of precision and high quality, later stating that “a job was only right when it was perfect”. Still dreaming of having a business of his own, Oscar progressed from junior to manager. His work took him all over the country, from Hove to Liverpool, then Southport and finally to Eastbourne, where as manager of an opticians he began to understand the challenges of running a business. Eventually, he felt ready to start out on his own. In February 1928 Oscar arrived in Southampton. He knew that in order to succeed as an optician he would need to build relationships with all the local surgeons, and rely on them recommending him to their patients. So he went door-to-door, informing the doctors of his intentions to open an independent opticians with what he called ‘Wigmore Street service’, in reference to what was at that time London’s renowned centre for optometry. With encouraging responses, he pressed ahead with his plans, and on 20th February 1928, he opened for business. Keen to create an upmarket impression with his store design, Oscar enlisted his wife’s help. She was entirely responsible for the colour scheme and furnishings, which gained many compliments for their originality and style. “I had never before seen a shop carried out internally and externally in grey”, he later recalled, “and with the introduction of fuchsia curtains and large lemon lampshades, the effect was very pleasing”. Having an elegant store was no guarantee of business success. Despite his anticipation and enthusiasm, Oscar received no prescriptions at all during his first four days of trading. “I shall never forget my opening week”, he said, “full of enthusiasm and hope I dusted all round every day, I swept my carpet and polished my furniture, but six o’clock came… and no prescriptions”. 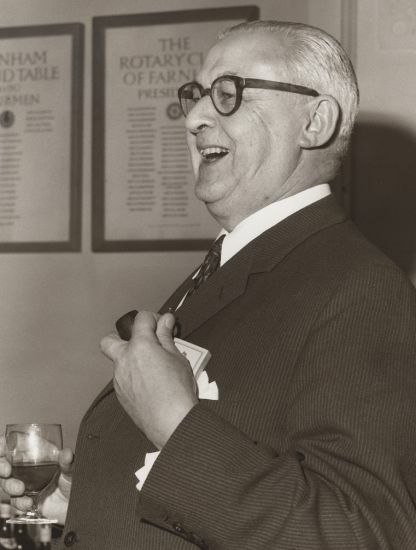 Finally, on Friday 24th February, “the sky was metaphorically blue, for at 11 o’clock, in came my first prescription” recalled Oscar, “I realised that I was going to be given my chance”. 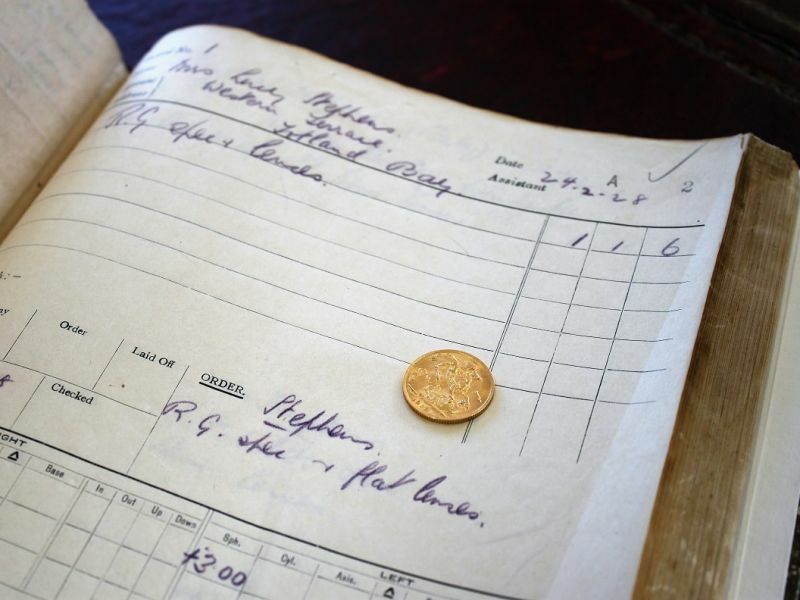 That first customer paid for her prescription with a gold sovereign, which were rarely seen at the time. Oscar considered it a good omen, and kept it as a memento. 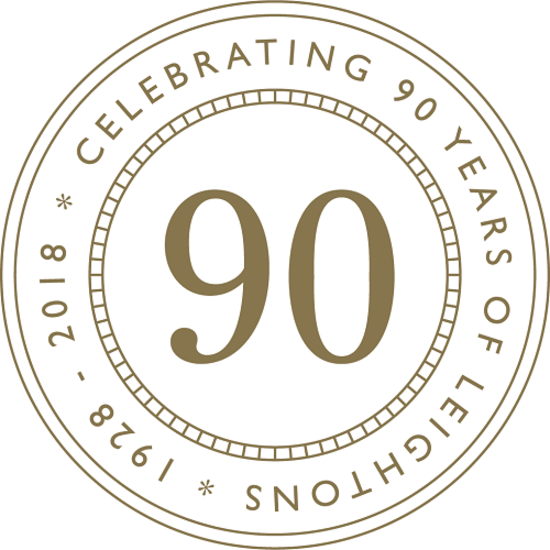 In fact, that first gold sovereign is still a treasured possession at our head office, and has become the inspiration for our new 90 years emblem. To book an appointment, call us on 0800 40 20 20, visit your nearest branch or you can book online.